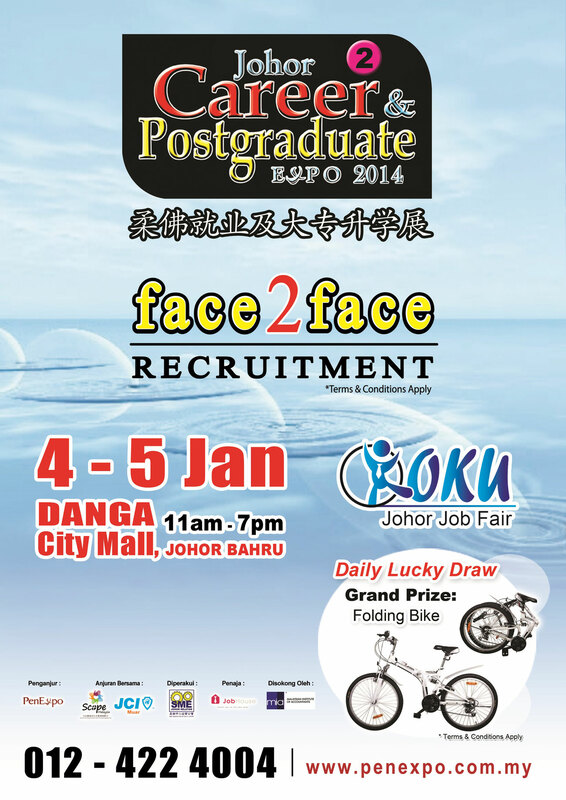 Please be informed that there will be a “2014 OKU Job Fair” (in conjunction with 2nd Johor Career & Postgraduate Expo 2014), jointly organized by Junior Chamber International (JCI) Muar and Social Care Organization Partnership Engagement (SCOPE), endorsed by SME Association of Johor Selatan. The opening Ceremony will be held on January 4, 2014 (Saturday) at 1.00pm, by Y.B. En.Vidynanthan A/LRamanadhan, Johor State Exco Member. The purpose of the OKU Job Fair is to connect the disabled people talents, skill and ability to the employers. 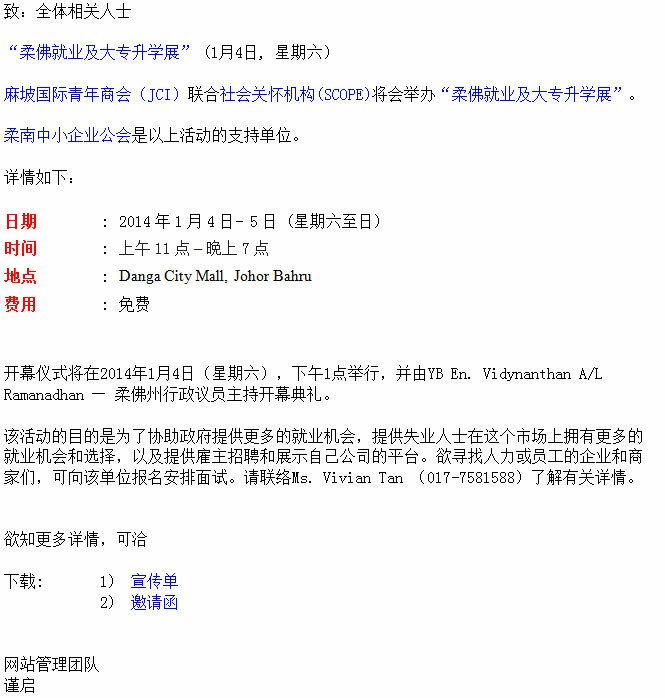 For those who are keen to look for manpower, you may register with the below for interview arrangement. Kindly contact Ms. Vivian Tan (017-758 1588) for further details.